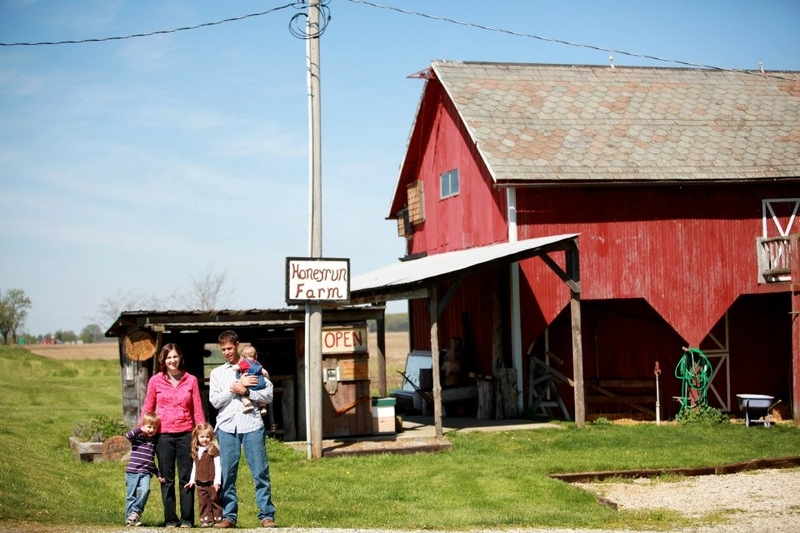 Honeyrun Farm is a small family farm located near Williamsport, OH. We produce pure, raw seasonal honey, varietal honey, herbal infused honey, bee pollen, handcrafted soap, and beeswax candles. We strive to produce environmentally mindful goods while ensuring the health and survival of our honeybees. We hope our products serve to educate others about the gentle honeybee and the gifts from the beehive. Follow us on our beekeeping journey by checking in on our blog, where we detail many of our beekeeping practices. Read our story about how we became a beekeeping family, and peruse our collection of products in our online store. You can also source many of our products at local groceries and gift stores. For a complete list, view our Where To Find Page.